I don’t claim to be a lover of classic literature, more intrigued by it than anything, as my time spent with it has been brief. But I am an advocate of expanding the reading experience. If you can do it with a group of other readers I figure all the better. I’ve always wanted to read Jane Eyre by Charlotte Bronte and now I can claim I have thanks to our Carnivalesque Summer Reading Challenge. Hayley, Jana, and I are sharing our final thoughts over at Hayley‘s blog. Okay, enough with the excuses. I still don’t know what I think of it. Having said that, I did enjoy it and most importantly it made me think. Setting: The mid 18th century is not a time period I’m familiar with nor read in. I’m assuming Charlotte Bronte lived in the time period she wrote in. So, contemporary for her and historical for me. I don’t know if that makes a difference or not. It’s an interesting thought, though. Authors write historicals, but is it the same? I don’t know. It’s something I’m going to have to give more thought to. I do know Bronte’s style and voice struck a cord with me. I had no problem envisioning the various places Jane found herself in. Bronte’s way with description has inspired me to think even harder about how I use words. Jane: I wonder how ‘feminist’ this literature seemed at the time? 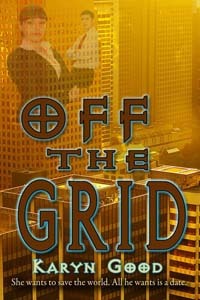 A story about a young woman who largely succeeds due to her own ingenuity and strength. She’s no shrinking violet. Even though she receives an inheritance that gives her the power to greatly better her circumstances I like to think she’d have succeeded without it. I admired her strong sense of faith, and her steadfast sense of right and wrong. I wondered where she managed to amass all her courage. For someone who has received little to no affection, she manages to be very together. There were times I found it impossible to believe she was eighteen years old. However, I found it impossible not to root for her. Damn it, I wanted that happy ending for her so bad and I’m so glad she got it. Without losing any of the qualities that made her so special and that set her apart: her wit, her common sense, and her values. Mr. Rochester: I’m a contemporary romance writer. I love my modern day heroes. I’ll say this: he was very human. The best thing about reading books with others is sharing opinions. You can read some of ours here. This proved helpful and I was very interested in what others had to say about Rochester. There were times when I didn’t know what to make of this guy. Did I like him? I’ll say this, by the end I saw him differently then when we were first introduced. I’m now a fan of redeemed heroes. I believe he loved Jane with his whole heart and that she was the one woman for him. I saw a man who tried to do the right thing and then was burdened by the force of those choices. There were times when I wish he would have kept his mouth shut. Then again, the story would not have the power it does. Am I glad I read it? Absolutely. A little housecleaning before things get back to something that resembles normal next week! With the release of my romantic suspense, BACKLASH, things have been a little crazy around here. Add in the beginning of the long awaited summer and a complete kitchen renovation that extended into a total main floor update and all regular scheduled programming goes out the window. Crazy can be a good thing, but it’s always reassuring to get back into a sort-of-routine. Consider this my first attempt. Carnivalesque: The Travelling Blog Show is on hiatus for the summer! 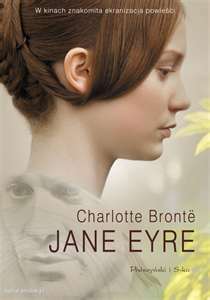 BUT some of us are getting ready for our Carnivalesque Summer Reading Challenge: Jane Eyre by Charlotte Bronte. If you’re interested in following along and checking in for our thoughts as we read through you can go here. And if you’d like to join the challenge, feel free! We’d love to read along with you! 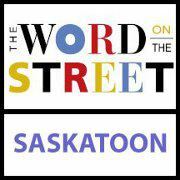 Either way, please know we love to hear your comments! Lucky for me, Jane Eyre came free with my Kobo ereader! So, I’m ready to read. I have to admit to never making it through one of the classics so I’m super excited for this challenge. As a longtime book club member I love reading books in the company of others. For me, it’s the only way to read books you might be hesitant about but really want to try. Looking forward to talking it out ups the chances of success. Congratulations to Janet who’s my June contest winner for a $10 Gift Certificate to Amazon. 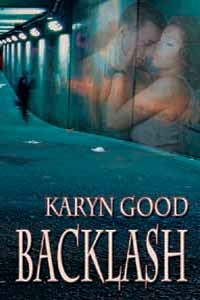 Also, you can win a copy of BACKLASH tomorrow at The Romance Reviews Sizzling Summer Reads Contest. You do have to be registered with Romance Reviews but I hear it’s painless. You will need to answer a little scavenger hunt question but that will be pain-free as well! 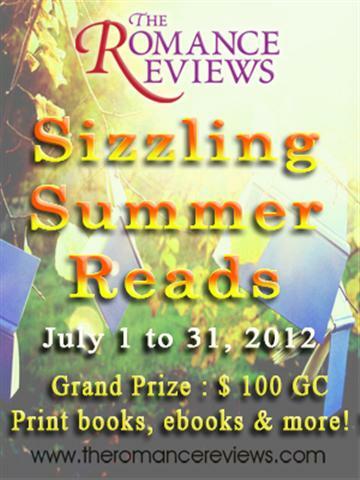 There are over 400 prizes available with the Grand Prize being a $100 gift certificate! Have a great weekend! My husband and son return from a bike trip to Holland on Saturday after a ten day absence! That’s going to the highlight of my weekend! I can’t wait to hear all about their adventure. Until then the sun is shining and the lounge chair by the pool is beckoning! Jane Eyre is waiting. And my in-laws have offered to cook us supper. Again. Life is good! Everyone needs a favourite place. Somewhere to kick back and relax! I’m sharing my mine over at Hayley’s blog. Join us and share yours! It’s Thursday and Carnivalesque is making a stop at Joanne Brothwell‘s blog. Everyone is talking about 50 Shades of Grey and so are we. At least, in terms of huge success and whether we’d consider trying our hand at writing it. 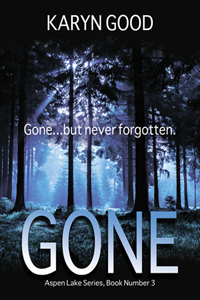 Join Jana Richards, Hayley E. Lavik, Janet Corcoran and I as we go were none of us has gone before! Carnivalesque: The One Book You Couldn’t Finish? 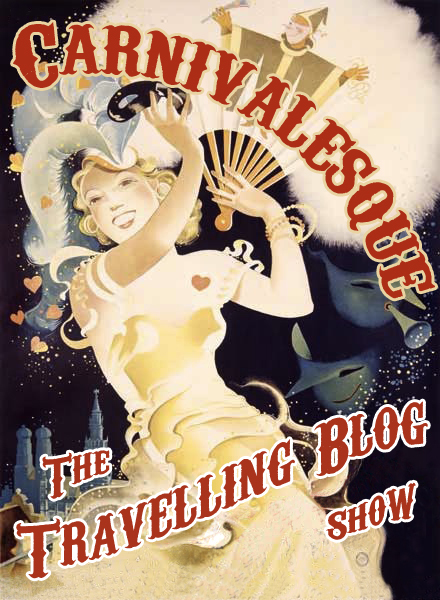 It’s Thursday and that means it’s time for Carnivalesque: Our Travelling Blog Show! There’s a topic question and five of us give our take on it. Then we open up the comment section to continue the discussion and invite you to join in! Sounds like fun, right? So come join Janet, Hayley, Joanne, Jana, and I on stage and let’s the discussion begin. Jana and Hayley are on their way to a spring writing retreat and will try and join in. Here’s hoping you get lots of writing done, gals! What is the one book you wanted to love but couldn’t finish or couldn’t like? When I was in a book club a few years ago, one of the selections was “The House of Sand and Fog” by Andre Dubus III. I read half to three quarters of the book, but I couldn’t go on. Please don’t misunderstand; this is a wonderfully written book with believable, flawed characters and I pulled for all of them. Both of the main characters needed to own the house in question. But as I continued to read, I just knew this wasn’t going to end well, and I couldn’t go on. When I attended the book club meeting, I got the Reader’s Digest version of the ending and my fears were confirmed. I think almost everybody dies in the end. Given the story, this was the inevitable conclusion. But I didn’t want to go there. I’ve had similar experiences with other books. If I get that horrible feeling that the ending is going to be depressing, sad or somebody’s going to die, sometimes I just can’t go on. I know every story can’t have a happy ending, but I reserve the right to pick and choose the endings I want to hear. I suppose the one book I wanted to love was Mary Shelley’s Frankenstein. At the time, I wanted to read some of the classics, so I asked for it for Christmas. I started the novel with high hopes, and read probably 100 pages, but I just got bored. I’m afraid I am afflicted with the same problem as the rest of the world right now: the need for instant gratification. I have precious few minutes for leisure time, and so I find myself demanding a lot from my leisure activities. If I’m not immediately hooked and constantly entertained, forget it. Life of Pi – everyone said it was the best book ever. Everyone said I had to read it. The reviews were amazing. But there was no way I could get through that book with that tiger and that boy! No.Way. I’m a firm believer in abandoning books – even taught my students in elementary school to do it (yes, there’s an art to doing it that needs to be taught – there needs to be a reason you can’t continue…besides, if I gave them that out without the lessons behind it, some of them would never have read a complete book). Life is too short and there are too many books out there that I want to read to waste precious time on stuff that just isn’t doing it for me! But, when people recommend a book with such enthusiasm, I feel the need to go beyond my Page 50 Rule hoping that things will pick up, the story will get better. Life of Pi did not! I can suspend all kinds of belief when it comes to fiction – for that book, I could not. I still get “The Look” when I tell people I couldn’t finish Life of Pi – you know the one where surprise, awe and disbelief are all rolled into one glare? Someone has suggested I go back and try again…um…NO! Again, too many books, not enough time. I guess I should be used to “The Look” by now as I’m constantly given ‘it’ when I tell people I read the last page (sometimes chapter) first. Hey, to each her own – for some The Life of Pi was all that and a bag of chips, for me…meh! My pick is…wait for it…Wuthering Heights. OMGosh, I know! I’m going to hell. Even Edward and Bella have read it. And my apologies to Emily Bronte. 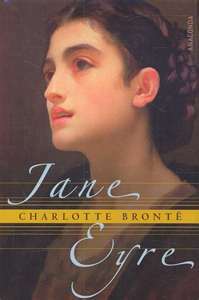 I’m reading Jane Eyre this summer! Does that make up for it. Oh wait, that’s the other sister, Charlotte. I admit I tried to read it many years ago, maybe now I’d have more success. Back then I was confused from the first Chapter onwards. I was impatient to read about this great love story between Heathcliff and Catherine and instead got this crazy narration style point of view from some Lockwood fellow. Obviously, I had no idea what this book was really about! Heathcliff was not only unlikeable but nasty, Catherine doesn’t make an appearance, and it soon became apparent that it was going to be depressing from beginning to end. Not my kind of book. Is it crazy that I still want to finish it? I’ve read many books for book club that I would never have picked and some I’d have preferred not to finish. If you don’t finish the book you get penalized and have to pay the pot ten dollars. I don’t know about you, but if you’ve already paid for the book, that extra ten bucks hurts! Plus you don’t get to complain about the book. Kinda like voting and politics. But here I am anyway, complaining about a book I haven’t read. I guess I’m going to have to choose Wuthering Heights as one of my book club picks so I can say I’ve read it. I thought the premise was intriguing. I was so ready to like the protagonist, and for a while, I really did like her. Then everything kind of went sideways, but I didn’t notice it at first. I kept reading along. I started complaining a bit to a friend who’d been reading the book as well. I kept plodding on. The story got worse, the plot got ridiculous, the situations got excessive and offensive and condoned things I just do not want to read any character deciding is okay, and all her compelling character traits just went right out the window for me. I read every last blessed word of that damn book, and I tried SO hard to like it, to find something to redeem the whole atrocious/dull mess that was the bulk of it, but right to the final sentence it just left me fuming and eviscerating it, and every time I get talking about it I go on a rant — oh look I’ve done it again. Bad writing doesn’t tick me off. Horrible characters or awful situations don’t tick me off. This book had promise, and it was supposed to be better, and everyone I knew loved it, and I gave that damn book so many chances. If I’d gone in planning to rip it apart or have a laugh, maybe I wouldn’t be so bitter. What a fun day we’re going to have talking about wedding dresses! And the question? Would you say yes to the dress all over again? Or would you time-travel back and wear something totally different? Maybe a version of Kate Middleton’s beautiful dress? Let us and drop by Carnivalesque and our Travelling Blog Show. Today we’re at Jana Richards‘ blog! Join Janet, Hayley, Joanne and I as we confess to wedding dress stories. Day Four and I’m being interviewed at Rachel Brimble‘s Blog! There’s a chance to win a $25 Gift Certificate from Amazon! We serving up a hot topic today and talking about the Stigma of Romance Novels. Come join my fellow Carnivalesque: Travelling Blog Show friends as we discuss the myths and realities of the romance genre! 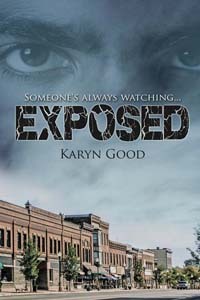 Stop by Janet’s Journal and hear what Jana Richards, Hayley E. Lavik, Joanne Brothwell, and I have to say about it!